There are lots of yoga podcasts out there, each one reflecting a different teacher’s personality and style. It takes a little trial and error to find the ones that work best for you. Here are 3 podcasts that I like. I spend a lot of time imagining the day that I bounce out of bed and into a deep, rigorous morning yoga practice. That’s happened maybe twice in my whole life. I find it’s better to be realistic about what my body can do early in the morning, and these short podcasts by Tara Stiles are perfect. These podcasts are short and sweet (most are four to ten minutes) for those of us who like to sleep in. Some of the podcasts are morning-specific practices and some of those can be done before you even get out of bed. I notice a difference in my body throughout the work day when I carve out five minutes for morning practice. Being able to follow along with the video is ideal for my fuzzy morning brain—it takes off pressure for me to hear every word she says, and for me to invent my own practice on the spot. These are great because there is no “I don’t have time” excuse. Most episodes clock in at less than twenty-five minutes. Rather than trying to squeeze everything into a short time, they are highly focused on a body part or type of pose. These are fun because you can mix and match the shorter lessons to customize a longer practice. 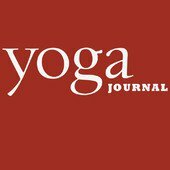 Jason Crandell gives thoughtful, detailed instructions that guide you into and out of each pose safely, and his voice is clear and calming. He doesn’t have any of the verbal tics that become distracting when you’re listening to the same person’s voice for long stretches of time. Kathryn Budig also teaches in this series, but I haven’t heard any of her episodes yet. Elsie Escobar teaches in Pittsburgh. This podcast is an audio recording of her public group classes, so you’ll hear her offer modifications and banter with students throughout the class. Most classes are an hour or seventy-five minutes, but the podcast is often longer because she spends a lot of time at the beginning setting up the theme and previewing the class (if you are impatient to get to the asana, you can fast forward). Elsie’s focus on alignment and creative sequencing keep this podcast engaging, and with 118 episodes, there is enough here to keep you busy for a long time. 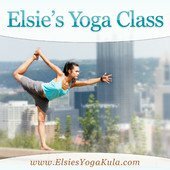 She complements the podcast with pictures of each pose on her website, but I think this one is best if you are already familiar with the poses and Sanskrit names, or if you’re regularly taking classes with a teacher. Do you have a favorite yoga podcast? Tell us about it in the comments.